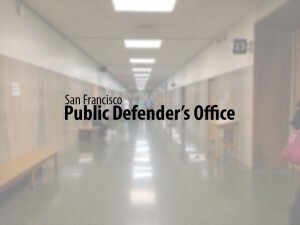 Public defenders and judges across the state are divided on a provision in Gov. Jerry Brown’s recently released budget that proposes reducing the number of peremptory challenges in misdemeanor trials from 10 to six. “Six challenges per side is the current average [in state courts throughout the nation], and additional challenges unnecessarily add delays to proceedings,” argues the budget summary. The California Judges Association and the California Judicial Council favor the change, whereas the defense bar organization California Attorneys for Criminal Justice (CACJ) opposes it. The schism means the proposal faces a bruising fight. “The California Judges Association was absolutely thrilled that the governor and the Department of Finance decided to include that in the proposed budget,” said San Diego County Superior Court Judge Joan Weber, immediate past president of the association and an ex-officio board member this year. “We believe it is a court efficiency that would not jeopardize due process rights,” she added. Public defenders’ enthusiasm for the proposal was more tempered. Matthew Guerrero, a public defender in San Luis Obispo County and current president of CACJ, called the proposed reduction “an unnecessary watering down” of the jury system. California is a leader in number of peremptory challenges, Guerrero said, and should maintain that status. “Most jurors are middle or upper middle class Caucasians – this disproportionately would affect the poor African-American and Latino communities,” he maintained. Guerrero also argued that it’s easier and more efficient to allow a peremptory challenge than to have attorneys spending time to establish cause if they want to strike a juror. Weber disagreed with Guerrero’s argument, saying that challenges for cause are done before peremptory challenges. “Any competent lawyer will be making those before you get to the peremptory challenges. It will have zero impact on number of challenges for cause, which are still unlimited,” the judge said. Weber maintained that 47 other states offer six peremptory challenges or fewer, and those states have suffered no diminution of due process. Current California Judges Association President Eric Taylor said his organization believes the reduction in peremptory challenges would not only help save court resources but also the personal resources of jurors who are called in by the thousands each week. “There has to be a way of respecting a party’s rights to a trial and due process and to be as efficient as we can with these limited resources,” he said. Public defenders remain dubious, however. “The California Judicial Council has been trying to come up with a magical rabbit-in-the-hat savings argument to justify this so-called reform,” Adachi said, further arguing that the reduction will actually mean jury selection will take longer and not result in a significant reduction in the size of jury pools. “Not only are we going to fight, but we’re going to point out that many courtrooms are not in session full time, so this whole idea that this is needed to save time and money is going to backfire on them, because we’re going to attack their entire budget,” Adachi said.